Take a break from the hustle and bustle of central London and enjoy a few days away at one of our carefully selected, luxury hotels. Go horse riding, or hiking on the wild open landscapes of Dartmoor National Park. Spend an exhilarating day’s sailing on the Solent or explore the historic univeristy city of Cambridge. Here are Bespoke Air Charter‘s top three recommendations for short breaks away from London. Spend a day aboard Copihue (pronounced Cop-ee-way), a 74ft Andre Hoek designed modern classic sloop, built as an ocean going vessel to take her passengers around the world. She is named after the Chilean national flower, one of the most beautiful and graceful of vines. Likewise Copihue’s long flowing lines and natural elegance makes her, by popular opinion, the most attractive yacht in her class. Originally a medieval hunting lodge way back in the 13th century, The Limewood Hotel was reclaimed for royalty by the Duke of Clarence in the 1740s. 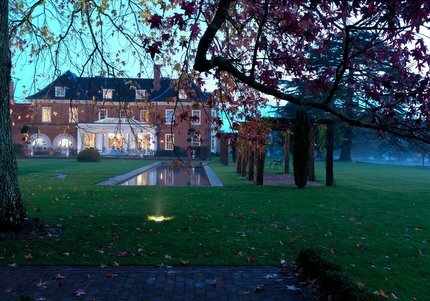 Since then, this New Forest manor hotel has been developed into an outstanding hotel with perfectly landscaped grounds, contemporary interiors, luxury spa and a stunning restaurant run by chefs Angela Hartnett and Luke Holder, both of who have a formidable Michelin pedigree. The historic city of Cambridge can trace it’s origins back thousands of years. There is archaeological evidence of settlement in the area during the Bronze Age and Roman times. The city is most widely known as the home of the University of Cambridge, founded in 1209. It is a beautiful city to explore on foot and we will happily arrange a private walking tour or visit to some of the famous university Colleges. A trip to the city also offers the opportunity to eat at the two Michelin starred Midsommer House, run by the innovative Daniel Clifford. The Varsity Hotel & Spa is located on the edge of the picturesque River Cam in the heart of Cambridge. Ideally situated for visiting the famous university colleges you also have easy access to punting, shopping, sight-seeing and night-life in Cambridge. Guests can also enjoy access to the on site Elemis Spa and Gym. Fly from London to Dartmoor National Park, the largest and wildest area of open country in Southern England. A beautiful juxtaposition of purple, heather clad moorland, wide open landscapes, rushing rivers and ancient woodland. Take the opportunity to experience Dartmoor in more depth by going walking, horse riding or fly fishing amongst the beautiful scenery and landscapes the area has to offer. 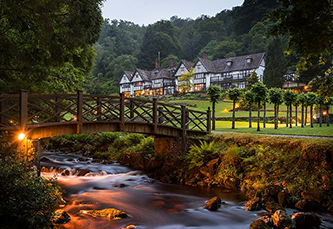 Stay at the Gidleigh Park Hotel, a quintessentially English country house, home to the two-Michelin starred chef Michael Caines. The hotel is nestled in a wooded valley within the natural beauty of the wilds of Dartmoor and all the individually styled bedrooms are of exceptional luxury.